Middleborough’s first “Central Fire Station” was the School Street Engine House which stood for just over a century on the east side of School Street opposite the School Street School. 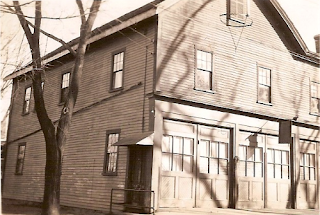 Raised in 1855 by the Middleborough Fire District (forerunner of the Middleborough Fire Department), the engine house was a two and one-half story building, with two bays for engines on the ground floor, and a commodious hall on the second floor. 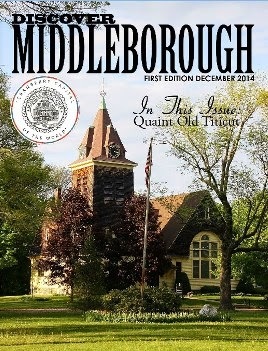 It was Middleborough's second firehouse (the engine house on Oak Street predated it by a mere two years) and was built in response to calls by Four Corners’ residents and businesses for improved fire protection in the neighborhood. The School Street engine house was built to house Hook & Ladder Company No. 1 which had been only recently organized at the time. 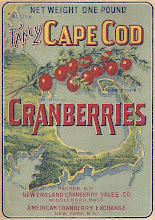 The Fire District appears initially to have leased the land upon which the building stood, for it was not purchased until May, 1859, when the owners, Perkins, Leonard & Barrows, which operated a shoe manufactory on the corner of School and Center Streets, sold the back 200 square feet of their lot. Though the School Street station played an invaluable role in the provision of fire services throughout the Fire District, this role was sometimes overshadowed by the engine house's social aspect. Its second floor "Engine Hall" hosted numerous social functions throughout the years, including the firemen's ball. At one point, in 1873, drinking in the hall had to be banned by the Fire Engineers "on account of the barbarous actions of young men from out of town." This seems to have been an exception, for the entertainments provided were generally sedate and in keeping with the dignified nature of the department. 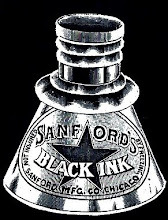 Over the years, the School Street station housed a number of hand-drawn companies. The last were the Enterprise Hook & Ladder Company No. 1, Chemical Engine No. 1, and Central Hose Company No. 1. Beginning in 1912, however, the Middleborough Fire Department initiated a conversion to motorized apparatus when it acquired its first motorized engine (and its first new addition since 1889) in the form of a Knox combination engine. The Knox Combination No. 1, became the showpiece of the department. Housed at the School Street house, the Knox made redundant and replaced both the chemical engine and hose company stationed there. The recognized need for a second motorized engine coupled with eventual dissatisfaction with the district’s Knox model prompted Chief Engineer Carlton W. Maxim to develop his own combination fire truck. This model, which Maxim designated simply as Model F, became the first Maxim-built engine and was proudly delivered to the Middleborough Fire Department in 1914, to be housed at the Oak Street station. 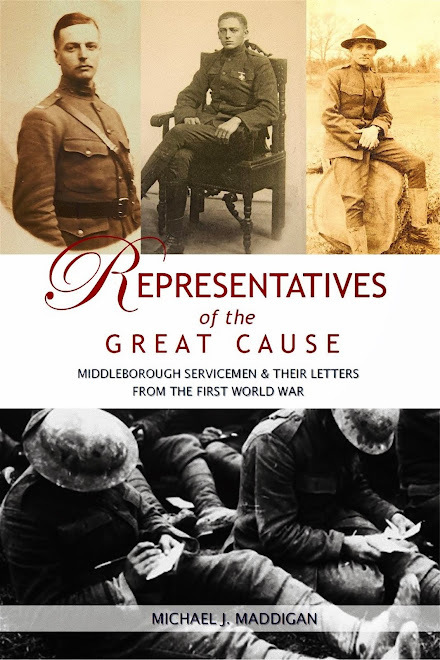 In the autumn of 1914, proposals were made and ultimately adopted for the rationalization and centralization of Middleborough's fire services. The School Street engine house was enlarged by a one-bay addition on its south side in 1915 at which time the original portion of the structure was remodeled and updated. The Maxim Combination No. 2 was relocated into the newly renovated building from Oak Street, as was the fire alarm equipment, and the Oak Street house was abandoned, as were the other engine houses, thereby conferring upon the School Street building the status of "Central Fire Station." (The East Main Street fire house was sold in 1920 and its Oak Street counterpart in 1923). Apparently, however, when the alterations were made to the School Street facility, neither the Maxim's length nor the street's width at that point (40 feet) had been duly considered, leading to an unanticipated problem: "There is not room enough for the truck to make the turn from the street." 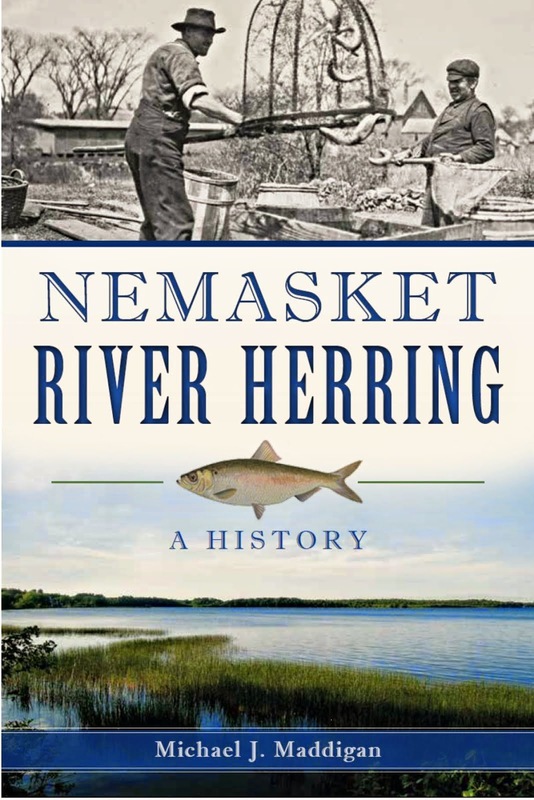 The matter was resolved in time, and the engine house, despite its age and wood frame structure became noted as "one of the best appointed fire stations of any place in this part of the state." The School Street engine house witnessed the complete motorization of the department when in 1915 the aging hand-drawn Enterprise Hook & Ladder was replaced by a motorized Maxim "Cities Service" truck. 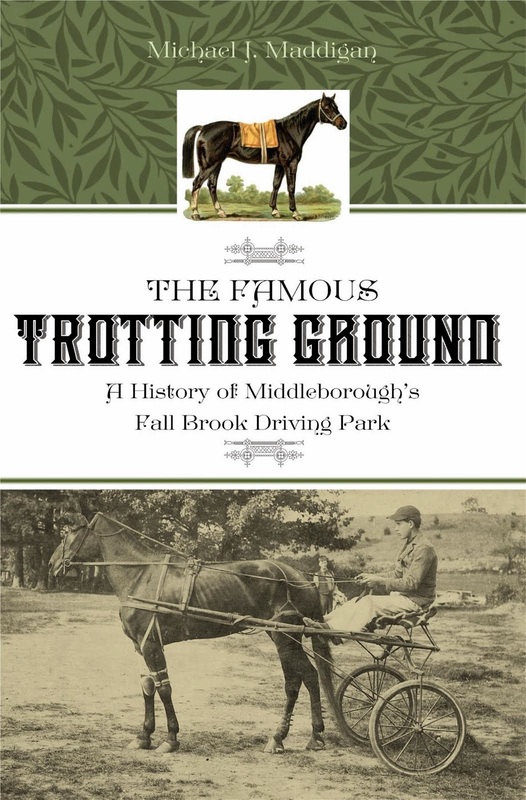 At this time, the Middleborough Fire Department was one of the area's first completely motorized fire departments. Sadly, however, the School Street engine house soon afterwards began showing signs of its advanced age, particularly its floor which sagged under the combined weight of three engines and was propped up by makeshift timbers. The condition of the firehouse touched off a discussion concerning its continued viability and prompted repair work in 1923 by local contractor George Starbuck. Eventually, a decision was taken to replace the School Street engine house with a new Central Fire Station, erected on North Main Street in 1926. The souvenir program for the dedication of the 1926 station recalled its predecessor: "The real veteran of the department is the School Street station, ... now battle-scarred and supported by a veritable forest of timbers and posts in its basement, and now after three score and ten years gracefully laying down its responsibilities, and yielding up to its handsome and spacious successor the duty and privilege of housing the thoroughly up-to-date department of 1926." The building was used in 1928 by Alvin C. Howes and Dr. Willard Howes of Detroit who operated the Howes Manufacturing Company which made microscopic slides. When they vacated, it became the home of E. W. Peirce Post 8, Grand Army of the Republic, the members having been forced to look for a new home after demolition of Peirce Academy in 1932. 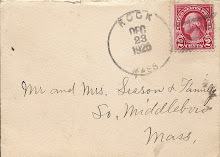 At the advent of World War II, the Post shared its quarters with Middleboro Chapter of American Red Cross. Both floors of the old building were filled with workers busy rolling bandages, making compresses, packing finished articles for shipment overseas, working day and night to provide the hospital supplies so vitally needed in those harrowing days of war. [Romaine:566]. Following a period of disuse, the School Street engine house was pulled down in 1958. This snapshot of the facade of the School Street Engine House depicts the original gable-roofed two and one-half story 1855 building on the left and the flat-roofed 1915 addition to the right. 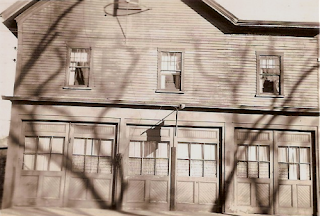 Built in an age of hand-drawn "engines", the fire house was constructed close to the street, too close in fact to permit the motorized Maxim engine which was housed there after 1915 to be turned easily into School Street. 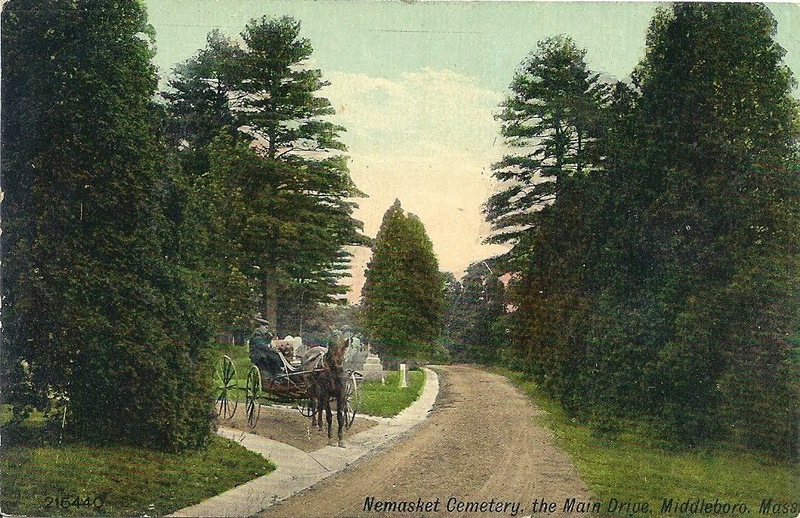 Romaine, Mertie E. History of the Town of Middleboro, Massachusetts. 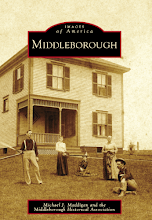 (Middleborough, MA: Town of Middleborough, 1969).